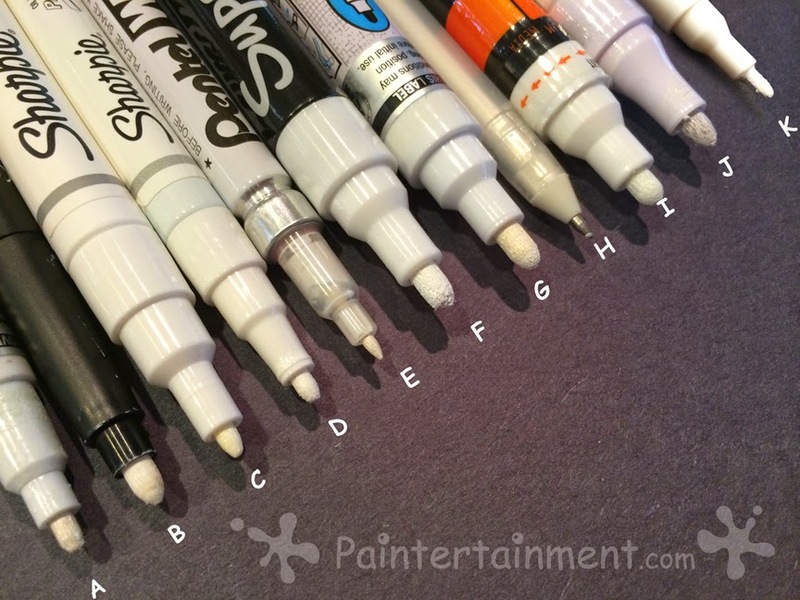 Paintertainment: The Great White Marker Matchup: Which Brand is Best for Balloons? This is awesome!! Thank you for doing this! I'd never even heard of some of these, and I never was a fan of design but it seemed like the only thing available. I'm so excited!!! Thank you so much for all your hard work!!! 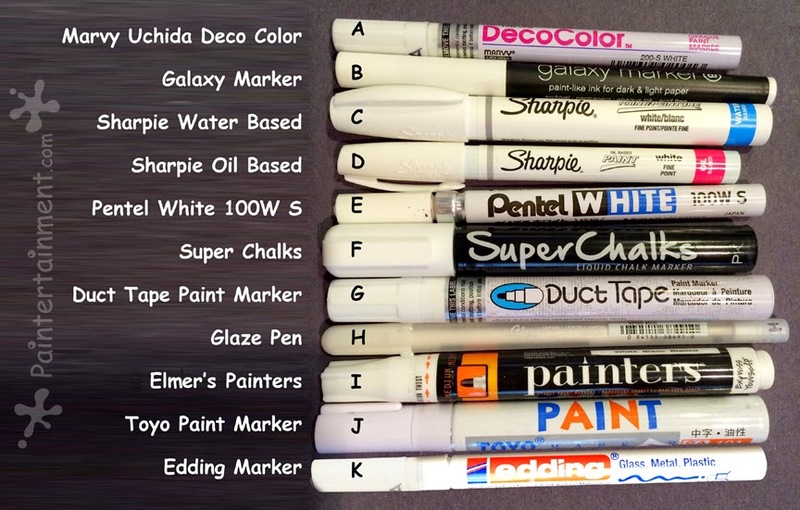 I've wanted to know all this but settled on the galaxy marker because at the time it was cheaper than what other twisters had recommended and you didn't have to pump. But then had issues with it (The tip fell off and then the cap stuck shut). So I didn't try any others , but wondered which one would work without buying them all. So thank you so much!!! 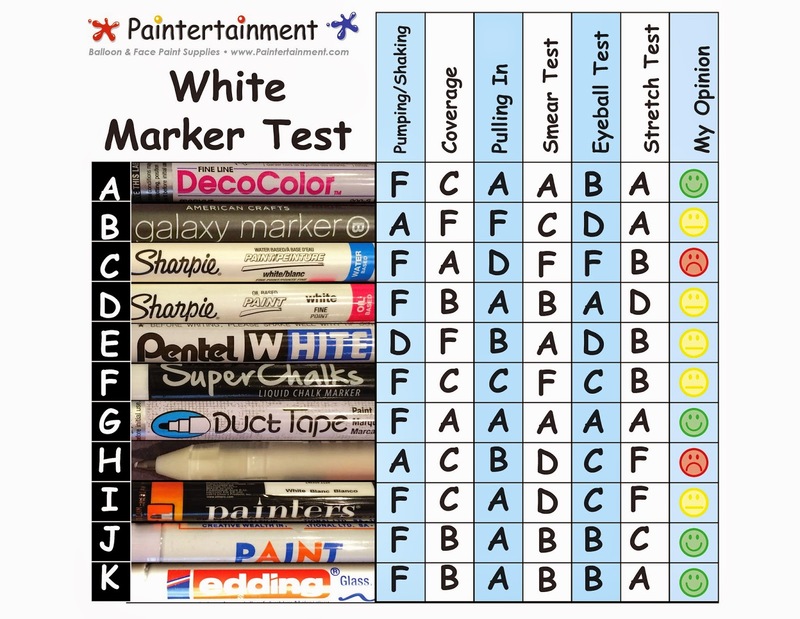 Thank you for this...the white I had (Sharpie water based) works exactly as your test showed...so my next purchase will be the Duct Tape marker. You saved us all SOOOO much work and stress!!! Many Thanks! I will be using the toyo pen for my automotive tire based on your reviews. Costs about $0.80 from ebay with search "tire marker"
The duct tape marker is great in some ways, but I've noticed that about half the time, my balloon pops as I'm using the marker. Very frustrating. Is this because it's oil based? 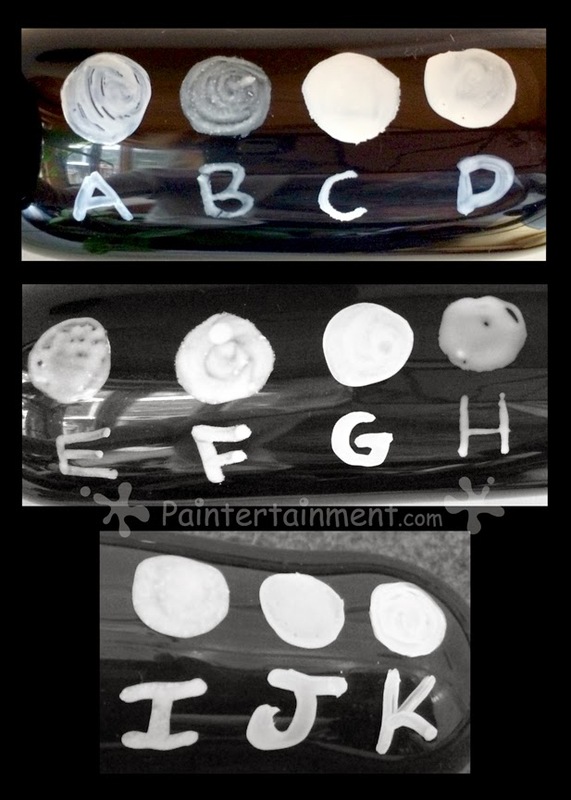 I know that oil based markers are discouraged for balloon use, and maybe this is why. Unfortunately, it looks like the markers you really liked are oil based. Does anyone have any suggestions for water based markers they like, or does anyone know a trick for using the oil based ones without popping the balloon? I have been using only Eddings so far. 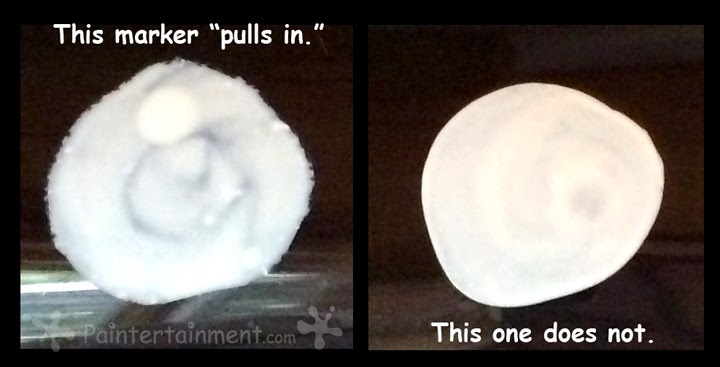 I have only popped once or twice. Now the question is why. Is it friction? Is there an Eddings with a finer point that might cause popping? 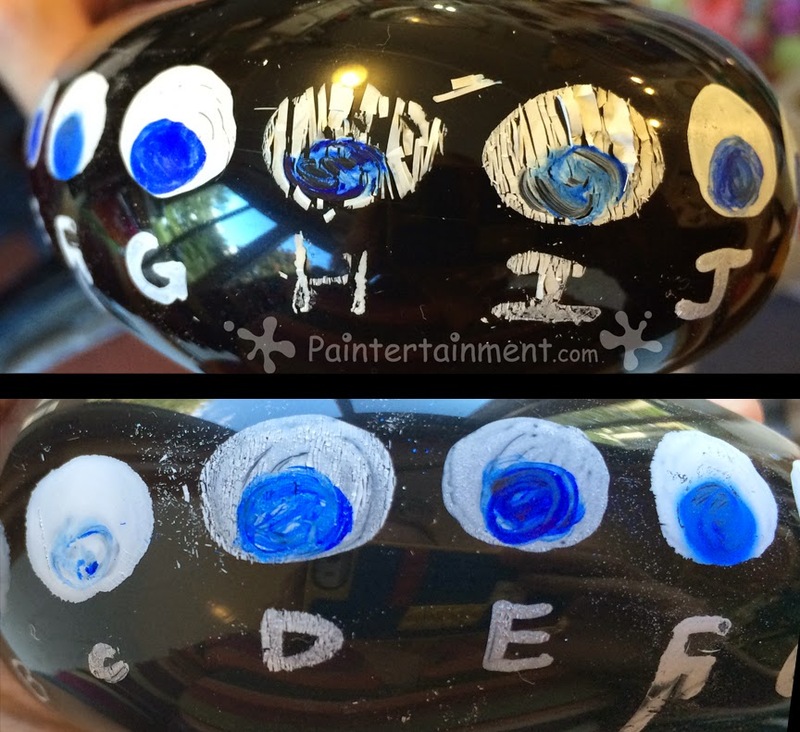 Is in in the touch when you are putting your marker tip to the balloon? Are you shaking it too much or not enough. I'm not sure. Sounds like a new test is needed. There's one thing that I'd like to say about the Eddings. Sometimes it spreads out on the balloon kind of in streaks just when I place the marker on the balloon. So I get this paint splatter look that is not very useful. Is anyone else experiencing this phenomena? I think I will search out a few Duct Tape markers and the Toyo thanks to you studious research. Thank you. "spider " across my figure in the final stages of completing a face. 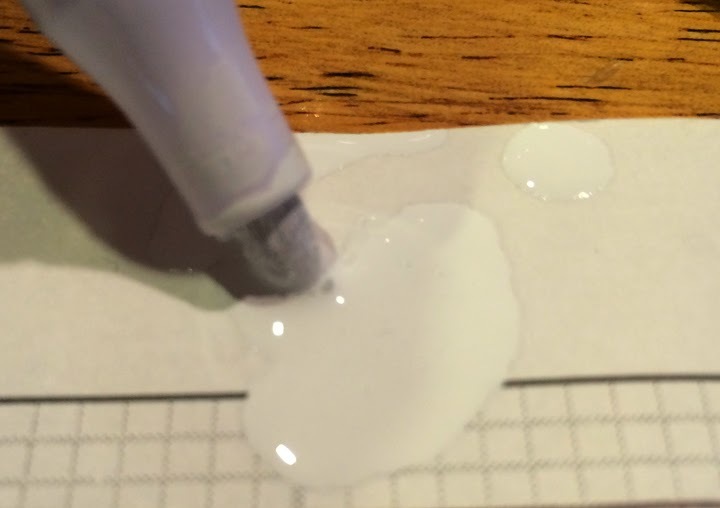 As a follow-up to my previous comment: It appears that oil makes latex pop. That's all there is to it. (This explains some of the warnings you received in a certain health class in high school.) So I no longer use the duct tape marker. The Edding has been great for me. I really like it and I've had no issues. So that's what I recommend. Ooooh, interesting!! I've never had an issue with a balloon popping with my duct tape marker! But that makes sense!! Ha ha...I don't remember that warning in school but that's certainly good to know! ;-) Thanks so much for the comments! If you never had a balloon pop using your duct tape marker, it might just be that your balloons aren't under as much pressure as mine. But I'm still very surprised. It really happened about half the time to me! I'm usually using Qualatex baloons (and sometimes Betallatex); maybe you're using some super-thick brand. I noticed in one of Michael Floyd's balloon youtube videos that he uses the Edding as well. I paid something like $7.50 for mine and I just lumped it in with a big balloon order from larocksmagic.com. Hmm, could be! I also use Qualatex. I'm more than impressed with all the research you did. That must have took a lot of time. I know what it likes since I tend to write up detailed information when I want to help others. You have definitely helped me and I'm sure many others as well. Thank you so much for all the hard work you've done!!! Thank you so much for all the hard work you've done. You've helped me tremendously and I'm sure you have helped others as well. I am new at twisting myself and have been researching all the different types of markers that would be best to use and your article is amazing!! I really appreciate it. Wow thank you! My daughter is making stress balls for a school market day and wants to draw faces or designs on them. Will order her a duct tape marker, had never heard of them before. I want to thank you profusely for doing this! This information is hard to come by!